Babaji’s consciousness continues to shine through his frail body. Sadly, the extent of his fragility now requires Hospice Care. 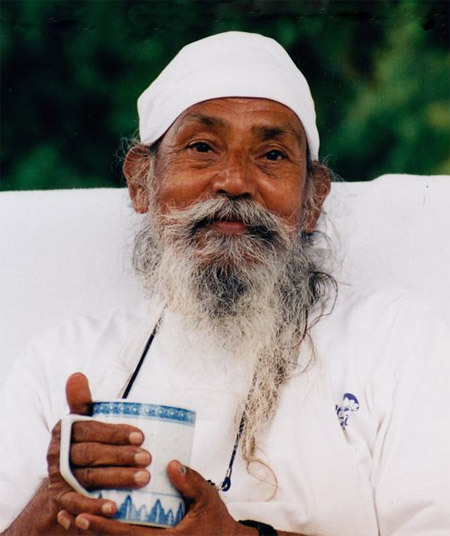 Hospice of Santa Cruz is an excellent organization and will formally support Babaji’s care from now on. Please continue your thoughts and prayers for his peace. Please know that information on his passing will be posted on the Centre’s website. We want to provide more information about hospice care so you can feel assured that Babaji continues to be well cared for. The following are frequently asked questions about hospice. Many people are surprised to learn that hospice can support patients and families for many months at the end of life. When a doctor agrees that a patient is in the final six months of life, if the illness runs its normal course, hospice care can begin. If needed, hospice care can continue for more than six months with the doctor’s approval. Hospice professionals work as a team to provide support. That team includes the hospice doctor, nurses, social workers, hospice aides, chaplains, and volunteer visitors. The hospice team can provide medications, supplies and medical equipment to help make Babaji comfortable. While the team members make periodic visits, they are also available 24-hours a day/7-days a week to address any symptoms or issues that arise. Hospice neither hastens nor postpones dying. Just as doctors and midwives lend support and skills during childbirth, hospice provides expertise and presence during the dying process. Is hospice an actual place? Hospice of Santa Cruz County provides care wherever the patient calls home. The hospice team is supporting Babaji in his home. They are available to provide medical oversight for his care and support for his caregiving team. Hospice of Santa Cruz County staff is available 24 hours a day, every day, to answer questions or concerns and manage medical needs. However, Hospice does not remain in the home around the clock. Caregivers are needed to provide support to hospice patients and Babaji’s team of caregivers is still providing daily support. One thought on "Babaji’s Health Update (March 2018)"
I am glad to receive since so many years news from Babaji and from all of yours ! I came to Salt Spring Center in 2005 and in the indian Ashram near Rishikech in 2006. I translated in French”Fire without fuel” for a swiss publishers… Finally, even if my life continues in France, I read and keeps with me with fervour all your letters, like a “trait d’union” from heart to heart… Merci beaucoup !